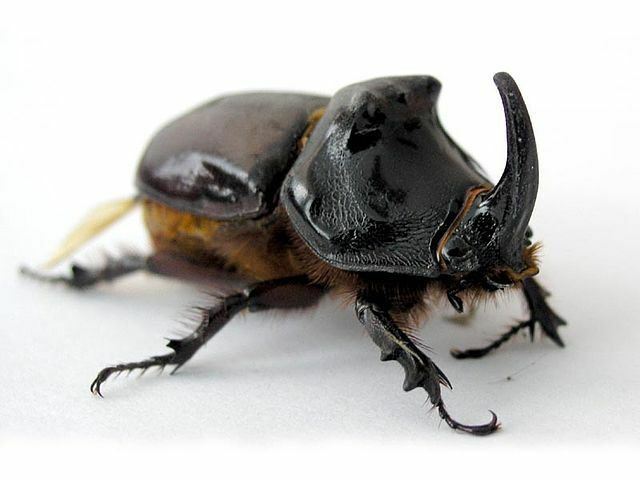 The reference image I chose for the beetle drawing. Following our first portrait, a requirement of AR 111 was to draw either a new portrait or an animal. Although my choice was to create a portrait, my photo reference was not accepted, and I drew the portrait on the side. An attractive part of the reference is the blurr going towards the background. Another interesting feature to draw was the enameled look. Combined with the shadows, these gave the drawing a great sense of perspective. 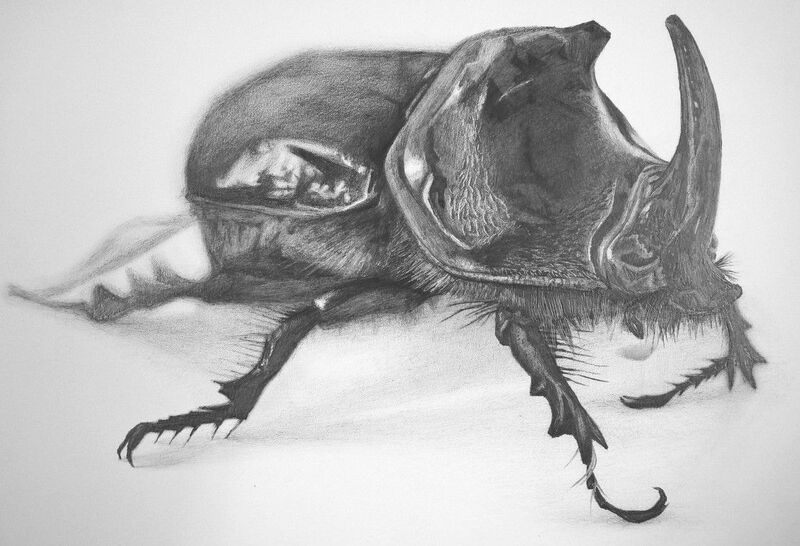 As it turned out, apart from the too blurry foot beneath the mouth, this drawing impressed my teacher, who gave me an A+ with the remark that drawing insects seemed to be my thing. I, however, decided that it suffered too much from paper-grain-speckle sickness, which I resolved to get rid of in the future by layering lighter pencils before adding the darker colours. Unless otherwise mentioned, this webpage and its content is licensed under the Attribution 4.0 International license. You may quote and copy this material if you give correct credit to the author and do not distort or otherwise change the original meaning of his words. Copying any material on this website without giving correct credit to the author is both plagiarism and copyright infringment, and will be treated as such. Denis G. Labrecque published this document on November 28, 2015. Proudly hosted on GitHub using Jekyll markdown.